Plumbing Ensure that your home’s new fixtures are installed properly, from the start. Air Conditioning If your air conditioner stops for any reason, we offer 24/7 emergency repair service. Heating Heating options for homes without space for ductwork. Indoor Air Quality A well maintained air quality system is the best defense of pet dander, pollen, and dust. Saddleback Plumbing offers quality plumbing services in Orange County. Whether you need drains cleared, repair and replacement of kitchen or bathroom fixtures, or installation of new water heating systems, we can help! Our highly trained and certified technicians can assist you with all of your AC repair, maintenance and service needs in Orange County, CA. From routine AC maintenance and cleaning to helping you choose a new and efficient HVAC system for your home, we've got you covered. Our Orange County heating customers have been trusting Saddleback Plumbing to install and repair their heating systems for over 30 years! Contact us about service for your furnace or forced air system today. Saddleback Plumbing can help clear mold, pet dander, and other irritants from your Orange County home. We offer indoor air quality services such as air cleaning, HEPA filters, and UV germicidal lights. The key to a long–lasting plumbing, air conditioning, or heating system is having regular maintenance performed on all components. Save money on all our maintenance services by signing up for our Home Care Club maintenance program. For more than 30 years, Saddleback Plumbing has provided expert plumbing, heating and cooling services to residents throughout Orange County, California. 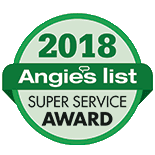 Our highly trained plumbers and air conditioning technicians provide exceptional service for all of our customers, whether you need a new air conditioner installed or someone to inspect and repair a broken pipeline on your property. Our Orange County HVAC and plumbing services are second to none. We hire exceptional plumbers so that, when we send someone to your home, you know you are getting top quality service from an expert in his field. Offering exceptional customer service and professionalism, we set ourselves apart from the competition in Orange County, CA. If you need a plumber, heating services, air conditioning services or any other component in your home’s comfort system, call on Saddleback Plumbing today. We are here to ensure that you and your family are as comfortable as possible. Be it AC repair, installation or maintenance needed; you can count on us for quality and reliable service every time. Helping to ensure the value and efficiency of your home while assuring the health, safety, and comfort of your family. Plumber came the same day that we we called for service. Rich was on time, curteous and knowledgable. Looking for the Best Plumber in Orange County? Your home’s plumbing system is vital. It provides clean, potable water every day and ensures you can safely wash and dispose of waste water. Your plumbing must be properly installed, meticulously maintained and, when something breaks, repaired quickly by a professional Orange County plumber. For these reasons, you should call Saddleback Plumbing for all your home’s plumbing service needs. Our plumbers have years of experience working on all types of plumbing systems; making plumbing repairs, installing new systems and maintaining aging pipes. So call today if you want to learn more about the plumbing company Orange County trusts. Your home’s plumbing system is a diverse system of pipes and drains, and when you have a new fixture or appliance installed you need to know it will work properly. Fortunately for you, our plumbing company offers expert plumbing installation services for your kitchen, bathroom, and all supplemental systems. Whether you need a new toilet in your bathroom, a new sink in your kitchen or a sump pump installed to remove water from your home, call us today to learn more. Our plumbers work closely with every client we take on to ensure the installation process goes smoothly from start to finish. One of the most common reasons to call a plumber in Orange County is for plumbing repair or maintenance services. Pipes can last quite a long time but, as they age, they will rust and show signs of wear that can eventually turn into a leak or something worse. If this happens, you need to know that the plumber you call will move fast to fix the problem. Our plumbers are available 24/7 for drain cleaning, drain and sewer repair, water heater repair and general pipe and plumbing repair. Should you need immediate assistance with your plumbing, call us right away. We also offer annual plumbing maintenance service to inspect your plumbing system and ensure it is working properly. There are a number of ways to improve the operation of your plumbing system, including upgrading your fixtures to save water, installing a water treatment system to ensure excess minerals and chemicals are removed from the water and video pipe inspection of your drains to check for clogs or other obstructions that may worsen over time. If you find yourself in need of plumber to inspect, upgrade, or otherwise service any aspect of the pipes or drains in your home, give our plumbing company a call. For more than 30 years, Saddleback Plumbing has been providing expert plumbing and HVAC services to homeowners in Irvine, Lake Forest, Mission Viejo and throughout the rest of the OC area. If you are ready to discuss your plumbing needs with a certified local plumber, call us today to learn more about our full range of plumbing services. Contact Saddleback Plumbing today! When is the best time for you to call up HVAC professionals to schedule air conditioning maintenance services? There are few regular service jobs more important in our climate than ensuring cooling systems work at their best.